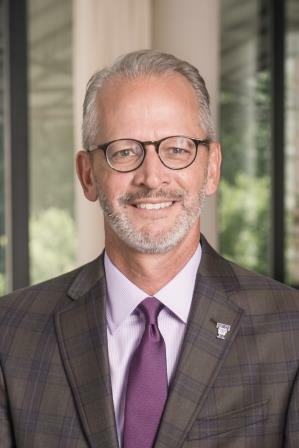 Truman State University President Troy Paino announced Monday in an email to colleagues and students that he will be stepping down from the position effective July 1. Paino said he is leaving Truman to become the 10th President of the University of Mary Washington in Fredericksburg, Virginia, which is located closer to his wife Kelly’s family in Arlington about 50 miles away. The University of Mary Washington is a public liberal arts university like Truman. Paino said he will be able to continue to do his work promoting liberal arts education in his new role. “It allows me the opportunity to continue my commitment to the idea that a liberal arts education serves a critically important public good while allowing us the opportunity to move closer to family,” he said in the email. Paino has been the President of Truman since 2010, and has worked at the university since 2008. Before he became president, he served as Truman’s provost and vice president for academic affairs. Paino said the decision did not come lightly. Paino said he told the Board of Governors over the phone Sunday about his decision. He said there is no candidate to serve as interim at this time.